I’ve been meaning to announce: I’m training for #werunsf 2015! 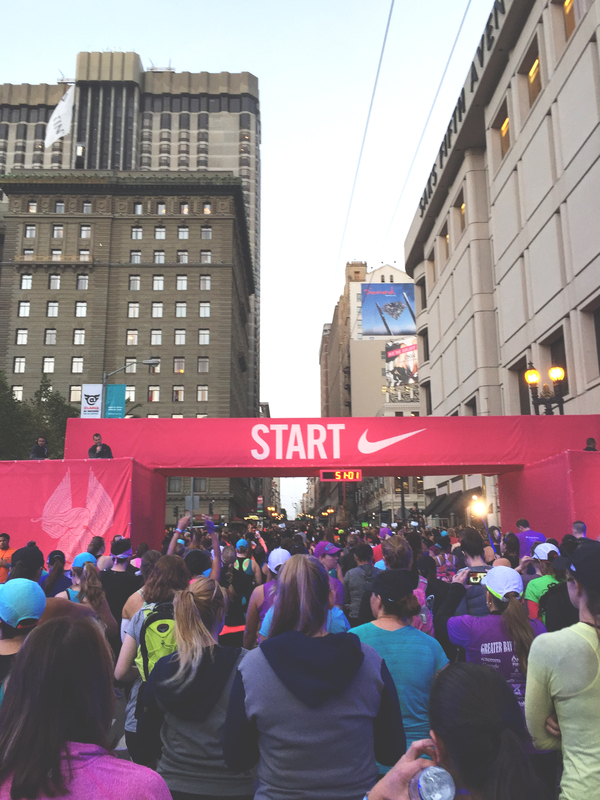 For those of you who have yet to be acquainted with this hashtag, it’s for the Nike Women’s Half Marathon in San Francisco. Surprisingly enough, tens of thousands of women actually volunteer themselves and pay money to RUN. And not just on flat surfaces, but up hills for an extended period of time. It’s great. I am one of those crazy people –this will be my second time doing it, and my third half marathon ever/in the past year. Let’s rewind to spring 2014. I was conned into completing a 15k, which sparked my interest in half marathons. I knew Nike put on amazing race events, and heard there would be Tiffany’s and limited edition shoes involved. Obviously, interest was more than piqued at this point. When I realized that a half marathon was only a little longer than a 15k, I felt it was safe to assume that I could complete one without dying, and my training commenced. Even if someone captured me on video in 2004, this gif is still more accurate. I’m painting this picture for you for a reason, I promise. But hold on, we’re still in 2004. I’m refusing to run the mile because I have exercise-induced asthma (which I clearly kept hidden by NEVER EXERCISING). My teacher is threatening to fail me, which is a big deal to me, since I really want to go to USC and have been pretty solid on all my other grades (spoiler alert everything worked out). This was the first of many times I had been conned/blackmailed/forced into running. I run the mile, it takes me approx 15 mins, and my face is purple at the end. FOR FORTY MINUTES. I’ve said it before many times, but I think you get the gist of it: I’ve never been an athlete. In fact, the concept of me doing any kind of physical activity has been alarming for those close to me, and a general cause for concern/distress. I think they’re all worried I’m going to hurt myself, which – in their defense – is valid, because I probably am going to hurt myself. All of this made completing a half marathon all the more exhilarating and gratifying. Like, eff yes, *I* can do this. I never, ever thought I would do anything remotely close to this. 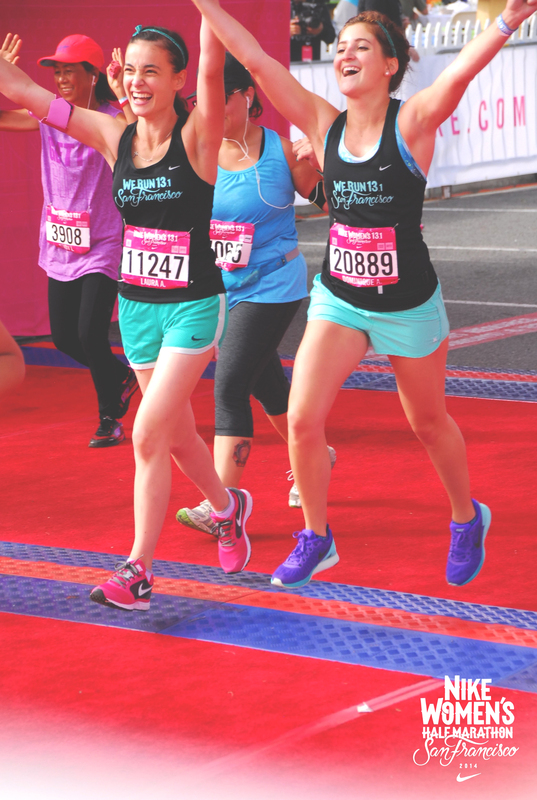 I never dreamed about it because it was never a realistic goal in my mind, so when I set my sights on a half marathon and then actually did it, it did wonders for my self esteem. Which makes me think, if I can do it, anyone can. The training itself is challenging, but it’s simple. No one is forcing you to go faster than you have to. You can walk some of it. All you have to do is go. It’s that simple. But simple doesn’t mean easy – it’s not easy to find time every day to run, or to keep going when you’d muuuuch rather eat cheetos on the couch watching netflix (not me, I hate cheetos). It’s not easy to keep going when you’re sore or out of breath. It’s not easy to push through the extra miles when you’re just over it and you want to stop running, but you know you haven’t hit your target mileage yet. At the risk of sounding like I’ve been brainwashed by marketing (it’s ok, I have), you need to JUST DO IT. Just get out there, and go. Doesn’t matter how fast. Only you know your time. It’s a very very personal journey. But it’s so simple to just start, to just go, and keep going. I guarantee you, if I can do it, you can run (or jog, or walk, or a combination of the three) a half marathon. It is possible to complete a half marathon without dying, as I have proven with my scientific method. I went from not being able to run a solid mile under 15 minutes, to running a 15k and two half marathons in less than a year’s time. YOU. CAN. DO IT. 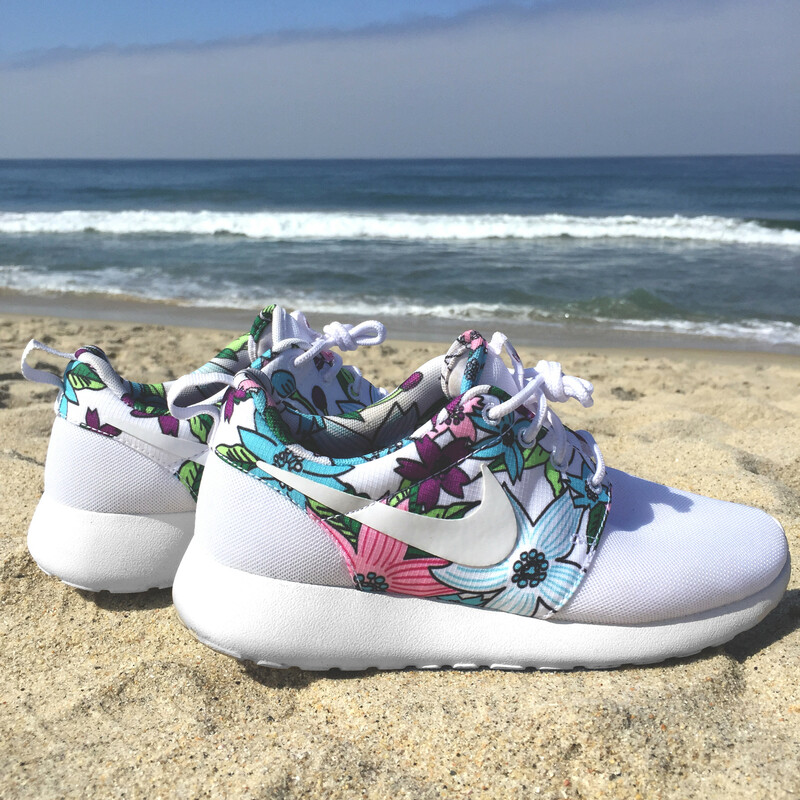 Lastly I would like to note, that although Nike Roshe Runs are cute and have an incredibly misleading name, they are not intended for fitness of any kind; I only put this photo as the main image because they really are cute shoes and it totally fits my vibe. I’m not training or running in them. And any fashion blogger posting their ‘fitness ootd’ with these shoes in the pic is a scam artist!!!! BEWARE OF THE SCAM. Anyway, I’ll follow up with a “beginners guide to running/fitness in general” (hopefully with a more eloquent title) early next week. Stay tuned!